Most medical residents receive life insurance as a benefit from their employers. Whether you have already taken advantage of this coverage or not, there are strong financial advantages in obtaining supplemental life insurance outside the workplace. You may not have enough employer-provided coverage. You may not be able to obtain additional life insurance from your employer. How do you know if you have enough coverage? Arrange to speak with an unbiased advisor on the phone for a few minutes. 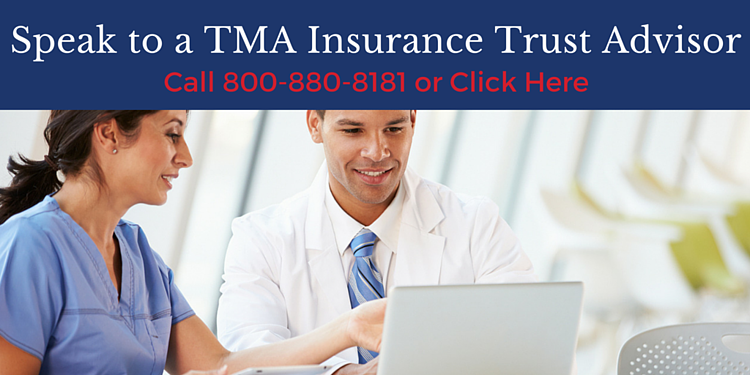 TMA Insurance Trust advisors don’t earn sales-based commissions and can help you determine quickly if your coverage needs are met, or if you need more life insurance. If you don’t have enough coverage, the best time to buy it is before your next birthday, when your rates most likely will go up. You have significant education loans. Many residents have a co-signer on their education loans, and therefore have a higher level of responsibility to consider. What will be the financial consequences if you die and your co-signer is left to repay the loan? What would happen to your co-signer’s life savings and retirement plans if they had to suddenly repay your medical school debt? Though federal student loans are discharged at death, private and some state loan balances are treated differently, and your co-signer may be forced to repay the loan. Your current life insurance is likely not portable. When you leave residency, your life insurance policy may not convert from group coverage and go with you. Securing your own policy ensures that your insurance is portable and can travel with you throughout your lifetime. If you decide to remain employed or choose to open your own practice, your life insurance remains yours and you stay covered. You are as young as you will ever be. Since securing life insurance is dependent on good health, and rates are based on age, you can get the most affordable rate possible right now. This also means that you can afford more coverage now. For example, a 35-year-old female physician can secure $250,000 of life insurance coverage at an annual rate that amounts to less than 50 cents per day. You get the value of immediate protection. Undoubtedly you have a savings plan or investment strategy in place to plan for your future. Still, these can’t match the immediate protection of term life insurance. Once you are approved for a policy, the amount of coverage is in place immediately and protects your beneficiary from day one. No other financial product or approach can provide this level of financial protection and security. If you have more questions about the value of term life insurance, know our advisors are ready to assist you. When you contact a TMA Insurance Trust advisor, a few minutes on the phone is all that is needed to determine what type and amount of life insurance will fit your needs best. Our team honors the sacrifices you have made as a resident physician and works for your secure future. Contact us today for trustworthy assistance.